Size: 11 x 14 x 4 in. Carry your favorite blends with you wherever you go with our Wine Bottle Tote. Our wine tote is constructed of 12 oz. 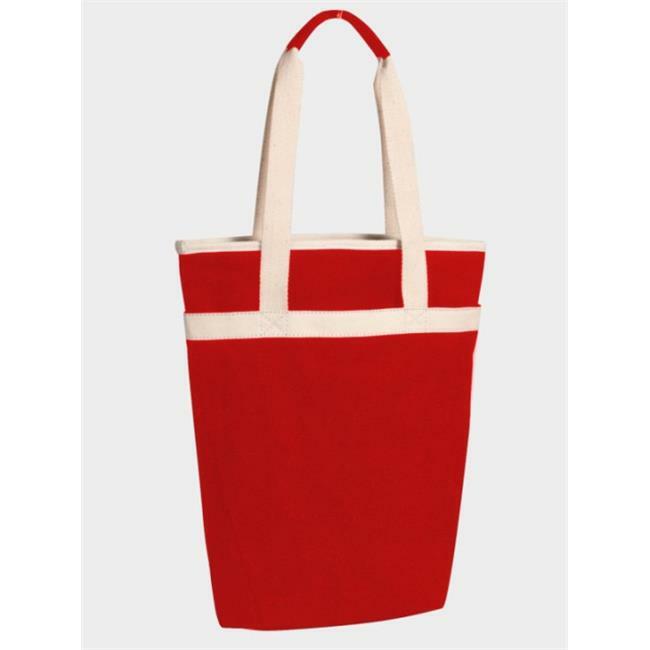 canvas, exterior and interior pockets and holds two standard size bottles. The inner divider will keep your bottles from hitting each other and the insulated lining keeps your wine cold. 11 x 14 x 4 in.